Two of the main laser-based treatment periodontal protocols in Stuart are LANAP and REPaiR. Both are effective but for different reasons. LANAP, which stands for Laser-Assisted New Attachment Procedure, uses a fine laser beam to selectively remove diseased tissue as well as to destroy pathogenic bacteria in the periodontium. This method is known to encourage regeneration of healthy tissue rather than to focus solely on resection of diseased tissue. The process involves exposure of deep periodontal pockets to which the laser beam is applied. No cutting or suturing is required, and the complete procedure takes less time than conventional surgical periodontal therapy. Healing and recovery times are therefore quicker, and the results are comparatively more aesthetic. However, it should be noted, this is a sterilization-type procedure and doesn’t eliminate the “true” causes of the condition. Instead, it places it in a state of remission. REPaiR, which refers to Regenerative Periodontitis Regimen, is a minimally invasive treatment regimen for periodontal treatment. The WaterLase wavelength aspect, for example, combines a high-energy wavelength laser beam with a spray of water to cut soft tissue as well as bone. This removes the actual cause of the condition and is done with less post-op complications compared to conventional surgical methods. Note, when cutting soft tissue, hemostasis of severed blood vessels is achieved during the procedure, allowing for a better field of vision for operation. The key, however, is the true removal of the cause, including the sterilization of the diseased tissue. The diversity of its application allows for a wide variety of treatment options in Stuart, such as treatment of selective deep pockets in specific areas of the oral cavity or treatment plan required. The patented Radial Firing Perio Tip, a component of REPaiR, is effective in the treatment of moderate to advanced periodontitis due to its unique design, which allows for efficient irradiation in deep pockets. It’s worth noting that LANAP has no radial ring abilities. Laser-based therapy provides a better alternative to conventional surgical therapy. 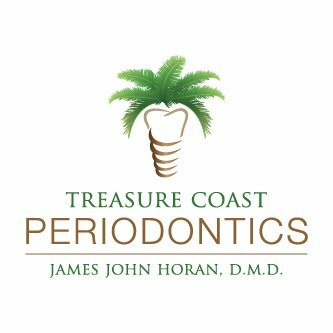 REPaiR, with its versatility, allows for various periodontal diseases in Stuart to be treated, with optimal patient satisfaction. Call us today at 772-467-5268 to learn more.